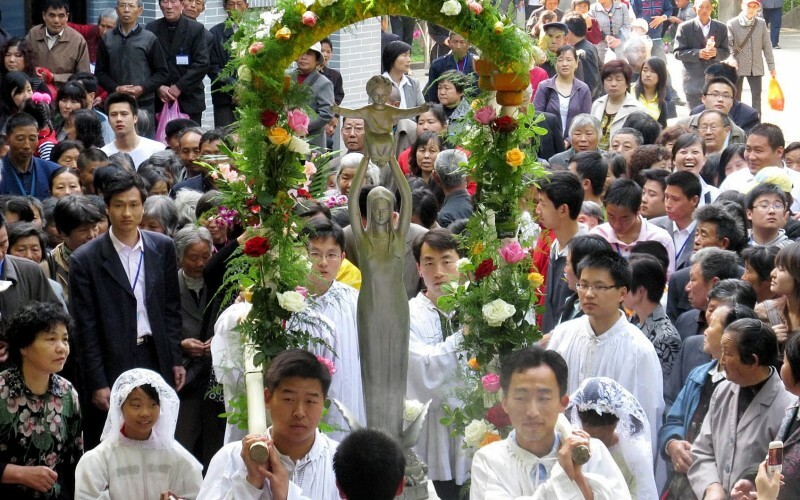 Shanghai (AsiaNews) – Thousands of Catholics have come on pilgrimage to the shrine of Our Lady of Sheshan, on the feast day of Mary Help of Christians. But according to the Diocese of Shanghai, the lists of pilgrims include at least 20,000 people who made the journey during the month of May. Others are praying throughout China in their own communities. Since Benedict XVI launched the World Day of Prayer for the Church in China in his Letter to Chinese Catholics (2007), 24 May has been an important date. In his letter, the Pope emeritus called on Chinese Catholics to join him in prayer to boost their unity, love and pray for their persecutors, receive from the Churches of the whole world "fraternal solidarity and solicitude" as well as persevere in bearing witness. Over the years, Chinese police have closely monitored the shrine out of fear that too many people might come together. The authorities in fact allow only the Diocese of Shanghai to organise pilgrimages for its own members, and only for one day, 24 May. 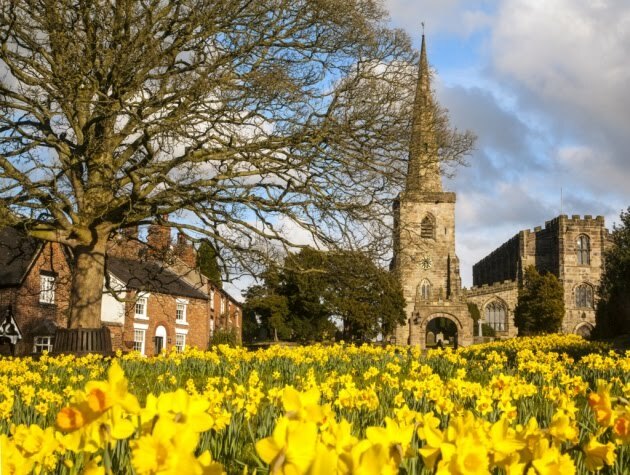 Nevertheless, the diocese noted that some 20,000 pilgrims have registered groups from other dioceses, like Ningbo and Taiyuan, between 30 April and 29 May, ranging from a few dozens to 2,000. Aerial pictures of Sheshan basilica have circulated among online chat groups. This year, many Catholics also organised web groups to pray to the Blessed Mother for protection of the Church in China and healing for the sick. One Catholic said, “Our lives are like a pilgrimage and will encounter difficulties. When I am downcast, I pray to Our Lady and offer my suffering to her and ask her for help.” He was alone in turning to the Virgin. One Catholic by the name of Fang said that he was praying that the Church in China be united to Christ. Another said he was praying for the Church in China to live in communion with the universal Church. Still another said that he was praying for health and peace between the pope and all the priests of the Church. And a student said that she was praying for vocations in the Church and to get into a famous university next year. The diocese of Shanghai led a solemn pilgrimage on May 11 with the participation of the faithful, nuns, priests, and seminarians. No bishop was present though. 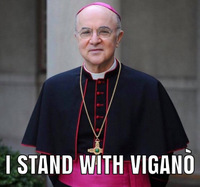 After the death of the official bishop, Mgr Aloysius Jin Luxian, and the underground bishop, Mgr Joseph Fan Zhongliang, the only bishop in the diocese is Mgr Thaddeus Ma Daqin, who has been under house arrest since 2012. The pilgrimage itself entails a procession with stops at three chapels dedicated to the Sacred Heart, the Virgin Mary and St Joseph before reaching the shrine, which is perched on top of a hill. Fr Lu Qinglin, head of the Punan Deanery, led the first prayer, encouraging the faithful to seek the help of the Blessed Mother, and pray St Joseph to protect the Church in China, especially the diocese of Shanghai. He was followed by Fr Song Jianli, head of the Pudong Deanery. The Mass at the Basilica of Sheshan at the hilltop was officiated by Fr Wu Jianlin, head of the Shanghai Deanery. About 50 local and foreign priests concelebrated, and entrusted the protection of Shanghai diocese and the Church in China, and the unity and communion with the universal Church to Our Lady. Fr Wang Zhengping, head of the Chongming deanery, said in his homily that the offering to God means offering ourselves totally to the Church, becoming tools of world peace and Church unity. Fr Wu led the faithful in reading the Prayer to Sheshan, written by Pope Benedict XVI, asking the Blessed Mother to protect the Shanghai diocese, Church in China and the Church in Asia.